A couple weeks ago, someone in our 21 Day Fix Facebook group (come join us!) asked for a fix-friendly cheesecake recipe. 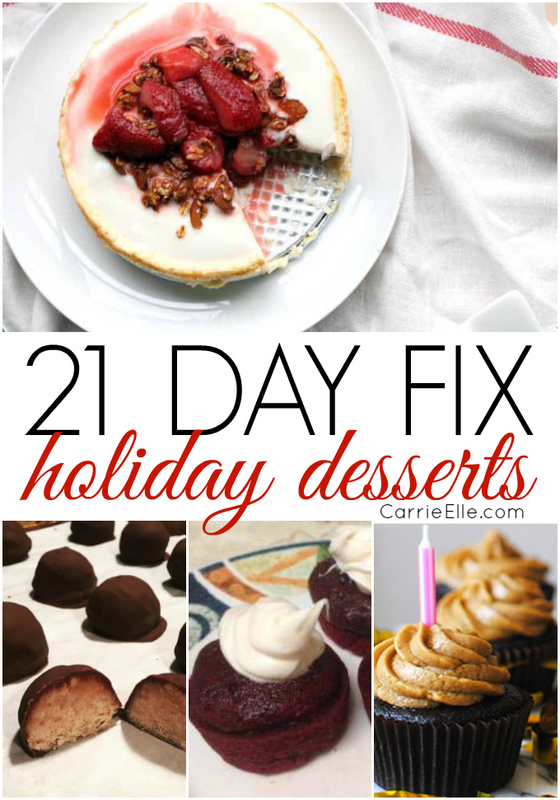 I didn’t have one at the time, but just days later the 21 Day Fix gods smiled down on me and presented me with this stunning 21 Day Fix Cheesecake recipe. OK, actually it wasn’t the 21 Day Fix gods. It was my friend Chellie, who has a whole foods blog called Art From My Table (since she shares whole food recipes, most of them can be adapted to the 21 Day Fix…you should go take a peek). She’s graciously started contributing 21 Day Fix recipes for my readers, and I can’t be more excited to share them with you guys. 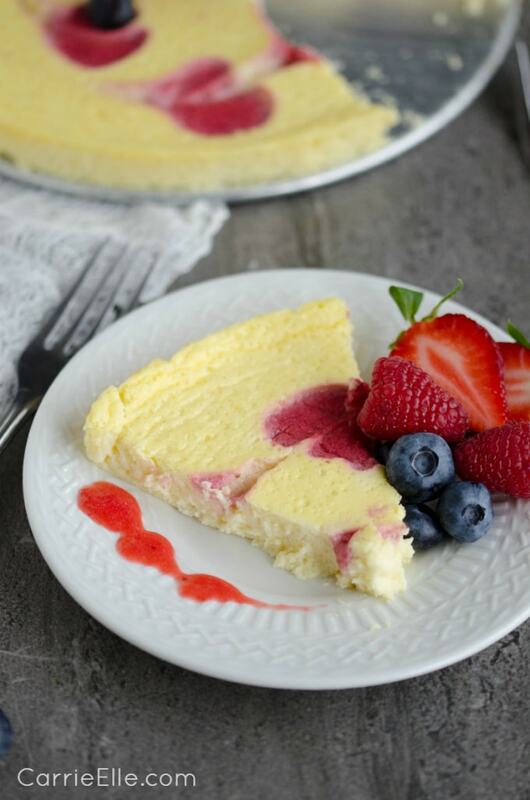 And I’m realllllly excited to share this one with you, because cheesecake. additional strawberries, raspberries and blueberries for serving. Combine cottage cheese and yogurt in a blender and process until very smooth. Add the rest of the ingredients, except the puree’ and fruit. Process until smooth and combined. Pour into prepared pan. Drop small spoonfuls of strawberry puree’ in a circle, or randomly on the batter. Using a skewer, toothpick, or butter knife, drag it through the spoonfuls of puree. I just went through once, but you can swirl to your hearts content to get a fun marbled look. Bake for 30 minutes, or until the top pulls away from the pan and looks smooth and solid. Serve with additional fruit if desired. 21 Day Fix container counts: 1/2 red, 1/4 purple, 1 tsp. It is, techinally, a *teeny* bit more than half a red. If you’re worried about it, take a slightly smaller slice. The flour is so minimal, once it’s spread across six servings, that I personally wouldn’t even count it. But if you’re having more than one piece, or want to count it, then I would count it as 1/4 yellow (it’s actually less than that, but that’s just what I would do). Be sure to head over to Chellie’s blog for more whole foods recipes. Join us on Facebook for 21 Day Fix recipes, free printables, and meal planning and budgeting inspiration! additional strawberries raspberries and blueberries for serving. Pour into prepared pan. Drop small spoonfuls of strawberry puree’ in a circle, or randomly on the batter. Using a skewer, toothpick, or butter knife, drag it through the spoonfuls of puree. I just went through once, but you can swirl to your hearts content to get a fun marbled look. « Printable Gift Card Envelope: Perfect for Valentine’s Day! This looks like a great meals for family nights or even parties. I love that cheese cake flavor ! This recipe is a keeper! What’s up,I check your blogs named “Twitter” like every week.Your story-telling style is witty, keep doing what you’re doing! And you can look our website about free ip proxy. Do you think I can swap out the flour for coconut flour? I sorry to say this was horrible, my husband and I do like recipes with cottage cheese this just wasn’t one of them. I didn’t expect it to b really sweet however salty wasn’t my cup of tea. If i add more sugar this won’t b healthy. Oh no! I’m sorry to hear that. Even with the strawberry puree?